As a way to give back to our community and customers, Absolutely Fish will conduct guided tours of our store. Each year we have approximately fifteen class from local schools who participate in this program. 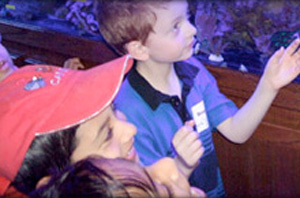 We allow the children to have a “hands–on” approach to learning with certain “touch tanks” set up. Our expert staff members will guide the guests through our systems explaining the various species and answering any questions we can. Ages range from Pre–K up to High School Seniors. We have also hosted college marine science and invertebrate zoology labs. Every tour is custom organized with at least four staff members present. College labs are a personal favorite of the owner and are instructed by either a staff member with a MS or BS degree in the biological sciences, or the owner himself. Every tour is unique, with each one containing their own wonderful stories. 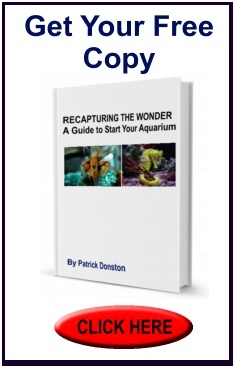 Our focus is to teach all age groups about aquatic animals in hopes to bring them closer to the underwater world we cannot see. Contact us to set up a tour! And check out our Round Table Discussions!